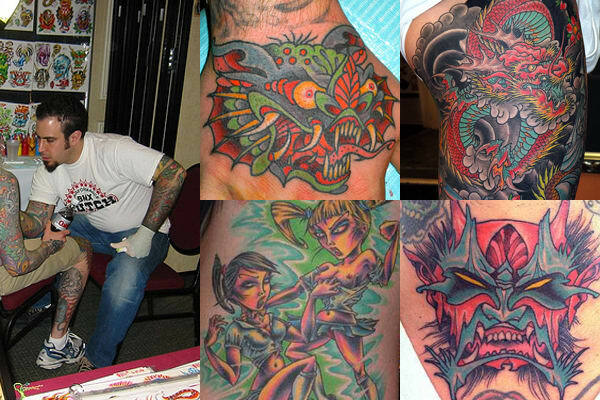 Dave Fox's tattoos burst with color. His elongated figures are distinct and have a charm to them. He is currently on the road.